A house made of stone doesn’t sound like that much of a spectacular place, I have to admit. However, wait until you visit Luna’s Bahay na Bato, which in translation means ‘stone house’. Built in Luna in La Union in the Philippines this really is a house and grounds, made of stone. 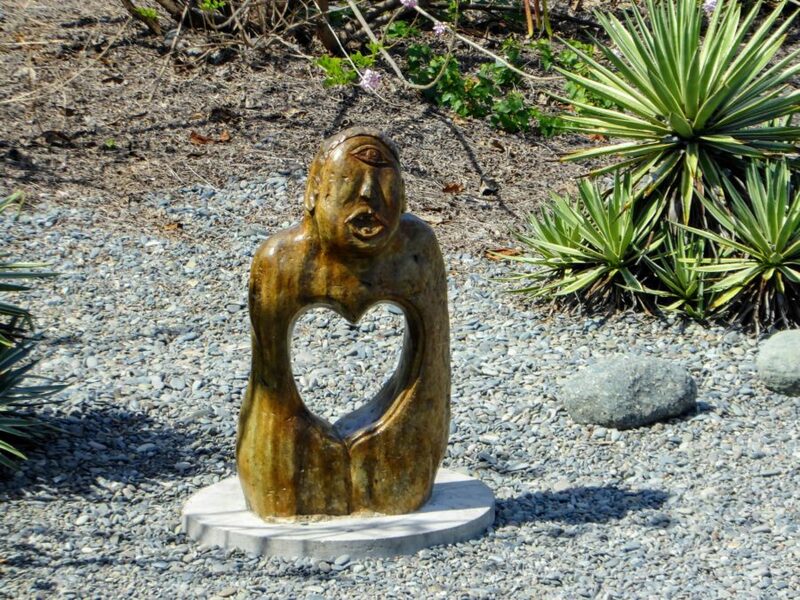 The grounds at Luna’s Bahay na Bato consist of large stone carvings such as hearts, flowers, animals and funny characters. Even down to the paving slabs, you are surrounded by quirky art. It inspires you however unartistic you are. The major attraction to Luna’s Bahay na Bato is the scenic pebbled beach which has sadly turned into an industry. 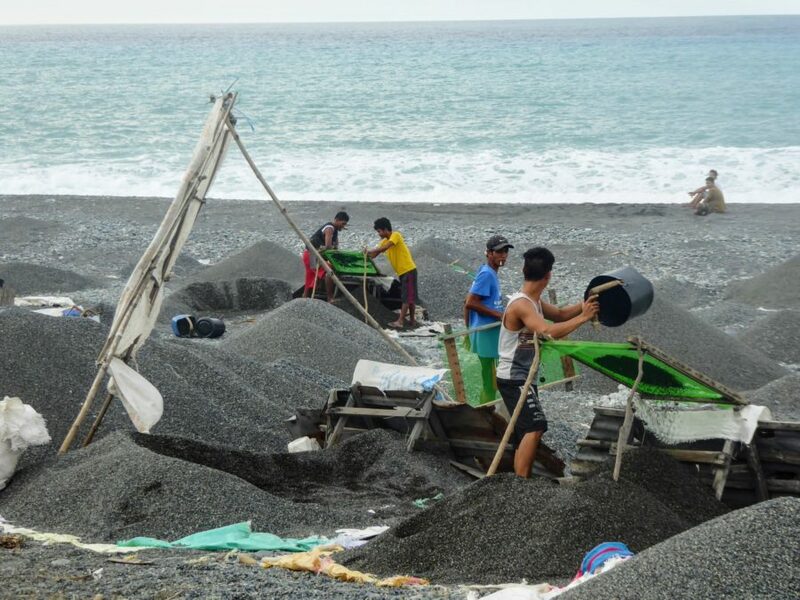 Many locals line the beach with piles of pebbles graded in size and colour which are transported all over the Philippines. 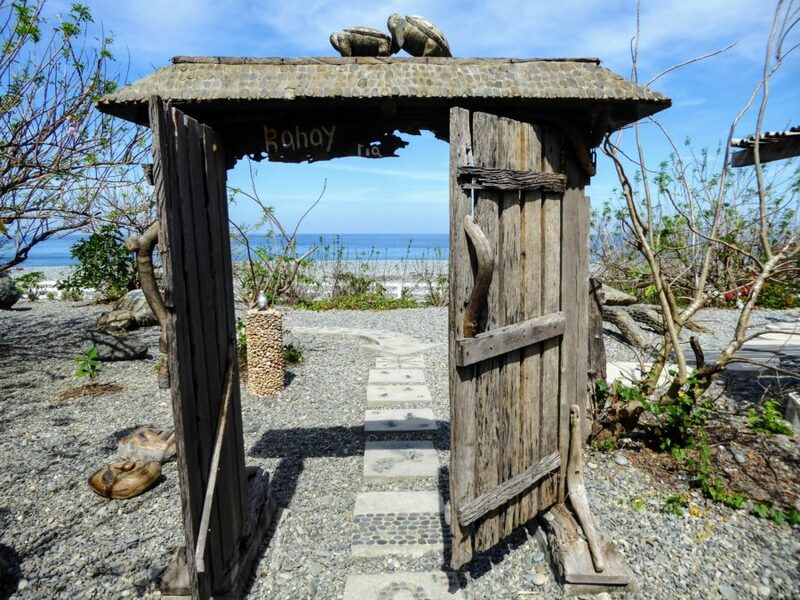 However, Luna’s Bahay na Bato uses this amazing backdrop to surround and built a gallery to showcase local artists whilst causing minimal impact to the surrounding beach. 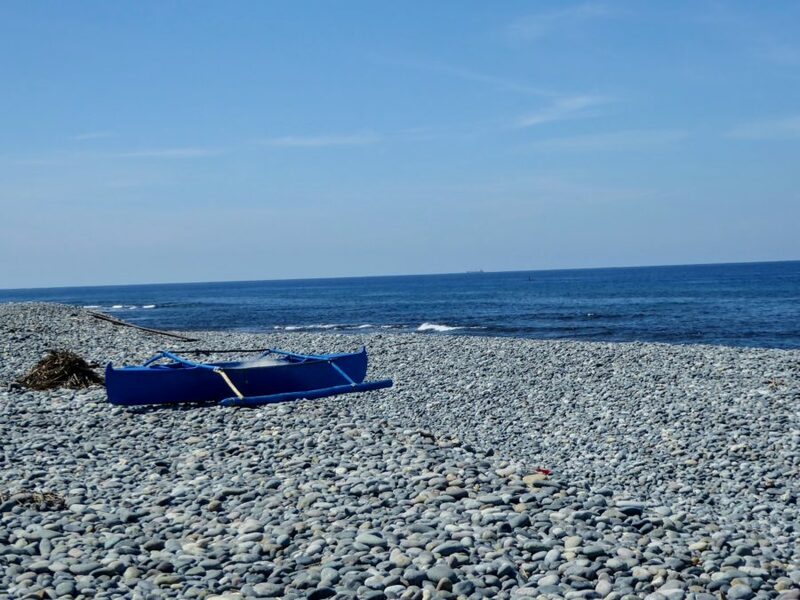 Luna’s Bahay na Bato compound contains two houses, sculptures and a beautiful garden to stand in whilst looking down the endless pebbles to the crashing waves, bringing even more pebbles to the shore. The top balcony of the main house gives you a beautiful bird’s eye view of the strangely soft, but rugged coastline. Within this building you can also buy snacks and drinks to escape the heat as, even with the sea breeze, after exposure to the sun the rocks radiate heat. The stone house was built in 2000 as a rest home for Dr. Edison and Dra. Purita Noble. Following interest from the town’s Mayor, they decided to open their doors to tourists in 2014. 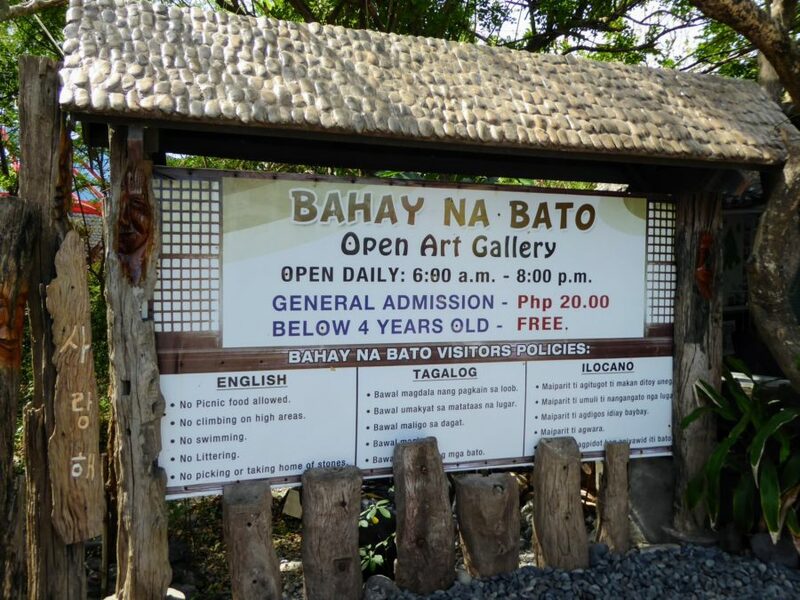 With over 10,000 visitors in the first year, Bahay na Bato really has put Luna on the tourist trail. The house can open for private occasions as well as overnight stays where you can sit under the stars around a fire pit listening to the crashing waves. Such an enchanting experience. Luna’s Bahay na Bato could just be one of my favourite places I have visited in the Philippines. 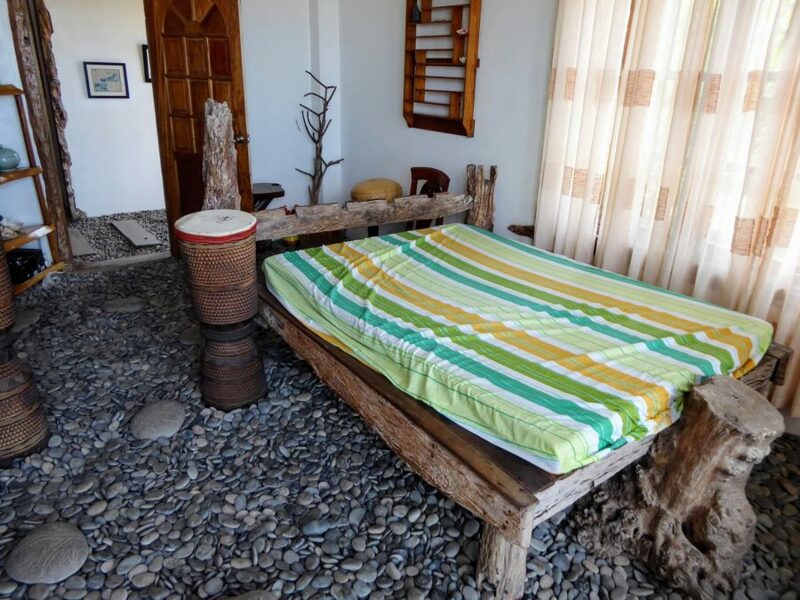 What do you think of Luna’s Bahay na Bato? What has been the best showcasing of local artists that you have seen? Please comment below. Don’t forget to subscribe (It’s free!) to my blog for more posts like this and interesting travel tips. 1/ From San Fernando La Union, take jeepney to Luna or jump on one of the passing buses coming from Manila as below. To get to Luna from Manila or Baguio, take a bus to Laoag, Vigan or Abra. Stop at Balaoan, La Union and take a tricycle to Bahay na Bato. 2/ Admission is PhP 20 while kids who are below 4 years of age are free of charge. It is open daily from 6 am to 8 pm. 3/ I wouldn’t advise swimming at Luna. The pebbled beaches cause huge crashing waves so that swimming is very dangerous. 4/ Luna is a great place to visit Tangadan falls from. Check out my post here about this great hike. 5/ If you are staying in La Union then I would strongly recommend you stay at Nature’s Healing Home near San Fernando City. They can give you the telephone number of a driver to take you to Luna or you can follow the instructions above to take the bus/jeepney. Please see the link below. Disclaimer: This post contains an affiliated link which means I receive a small amount of money when you use my link at no extra cost to yourself. However I would only ever advise places that I truly believe are worth visiting. 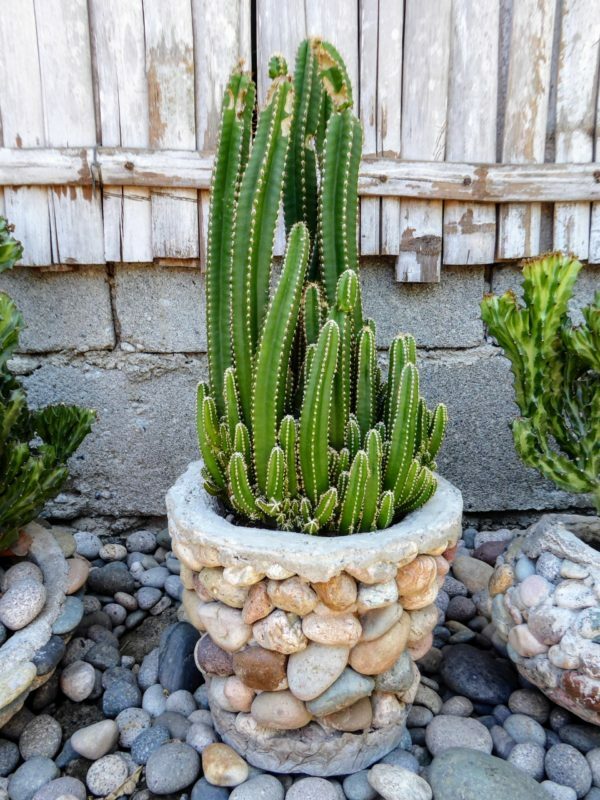 All thoughts and recommendations in this post are my own. 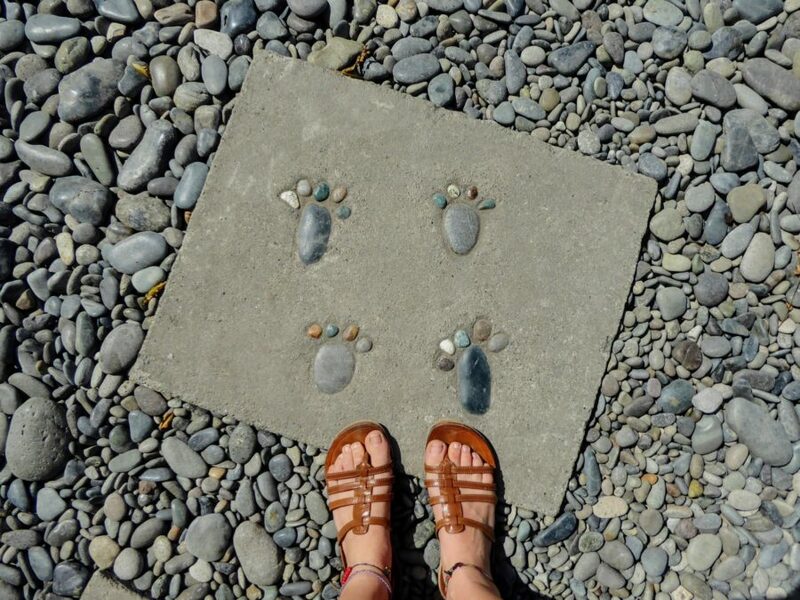 Wow just imagining the sensation of smooth pebbles underneath my feet in my home, book me in please! 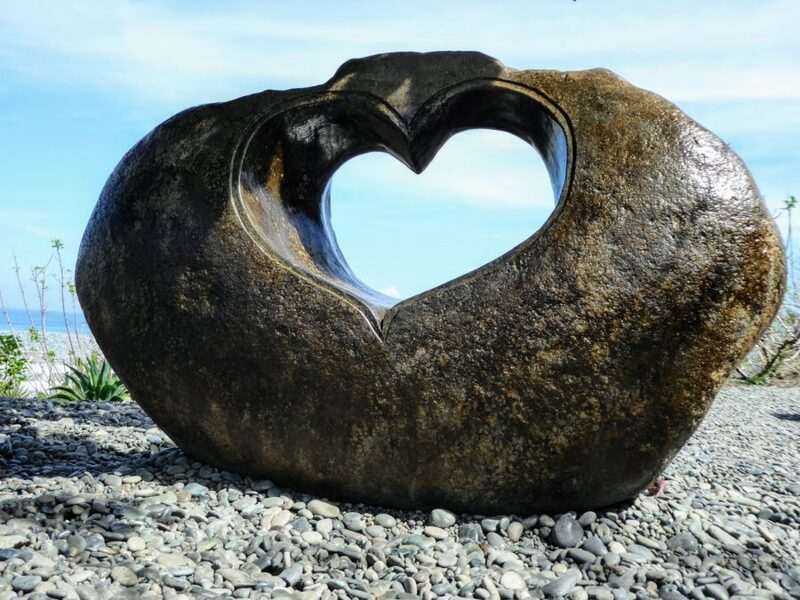 My friend would love this, he is an artist and paints rocks between Australia and NZ, plenty for him to paint at here! Thanks Diana. I do love local artists.